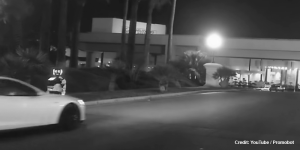 The electric car, a Tesla Model S, apparently hits a stray robot. The event is captured on video and the Russian firm that released it claims the Tesla was in self-driving mode aka Autopilot. So far so funny but what has really happened? 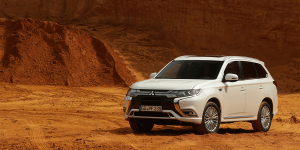 The Advertising Standards Authority (ASA) in England has dismissed complaints against a Mitsubishi television advert for misleading consumers by over-playing the electric aspect of its Outlander PHEV SUV. 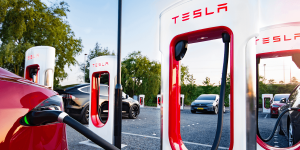 ICEing appears to have been around since the dawn of the electric age, yet it recently reached a new low with pick-up drivers purposely blocking Tesla Superchargers. So, it was time for some de-ICEing and this Model X driver took matters into his on hands – or on his tow bar rather. Think you’ve seen it all? Try an electric surfboard. 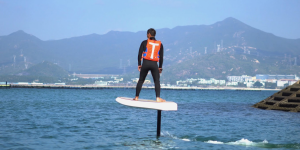 The Chinese company Waydoo is advertising an electric surfboard, the Waydoo Flyer, that can propel riders across the water at 35 km/h. While muscle-bound surfers may scoff, it really looks like a lot of fun if you have a little cash to spare. What looks like something out of a Star Wars film is just a new kind of vehicle for emergency responders in crises situations. Hyundai has built a vehicle called Elevate that is a new class of vehicle. 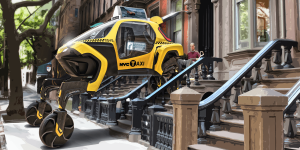 It can drive like a regular vehicle, but grows legs to step through rubble, or climb up stairs. 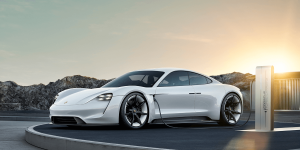 While technology and the market seem to be evolving quickly, the German car manufacturers at Porsche are keeping some of their old trade alive by using marketing language derived from old turbo powered times. 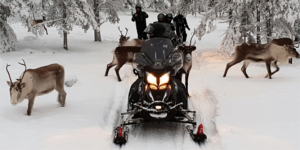 Finnish company Aurora eMotion has developed fully electric snowmobiles, with which you can take a safari through the frozen tundra of Lapland. 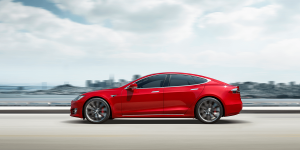 Tesla has pioneered a new emissions test with their most recent software update, albeit not for the vehicle itself. 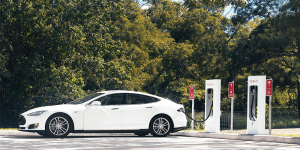 As a battery electric car, the Tesla models do not emit any greenhouse gases, but now drivers can measure their own emissions for a more honest and holistic picture. A new “trend” seems to be picking up in the USA, where pick-up truck drivers purposefully park in front of Tesla supercharging stations where they can insult Tesla drivers. At least that’s what happened in the town of Hickory, North Carolina. 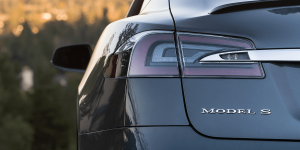 Three-quarters of the 9,000 Tesla drivers in the Netherlands were fined for speeding last year, according to figures from the national statistics office CBS. No other car brand showed such a high proportion of speeders. 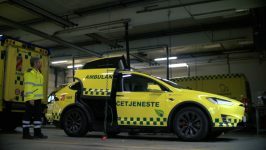 Back in 2014, the owner of a brand new Tesla claimed his Model S spontaneously caught fire and Tesla offered him compensation. Tesla went back on the deal when they discovered that the fire was caused, not by a faulty battery, but by a bullet. 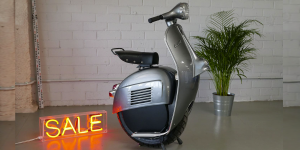 A monowheel scooter sounds interesting enough but this one also uses the iconic Vespa look and has some more surprises hidden under the seat. 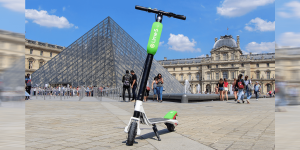 Built by Bel y Bel in Barcelona, this electric unicycle – or uni scooter – self balances and shows some impressive performance. 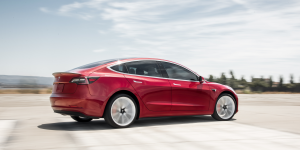 Admittedly, blonde jokes are completely backward but we could hardly not show you this video that could be dubbed: how to “refill” a Tesla, not. As if this is not hilarious enough, what really cracked us up is the audio. 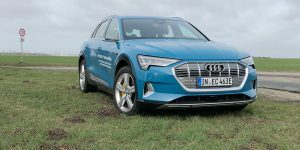 The Audi e-tron GT, recently had its grand debut at the Los Angeles Motor Show, and it must have impressed somebody from Hollywood enough, to give it a real casting. 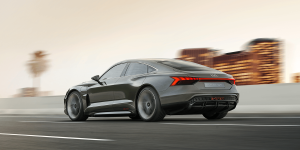 And so the e-tron GT scored a role on the big screen. 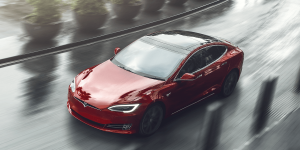 Tesla bought the rights to the company name in 2004 for 75,000 dollars from a man named Brad Siewert, who had already had it protected in 1994, Elon Musk now revealed. At first, the man did not want to sell the rights. 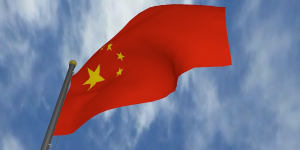 Albuquerque mayor Tim Keller announced that the City is taking legal action against BYD bus company. 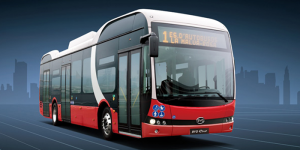 BYD was contracted by the city to build 60-foot, fully electric buses for the troubled Rapid Transit project. It seems that electric cars can sell well in Australia after all. With Christmas at the door, one of Aldi Australia’s best and fastest-selling “special buys” is back. 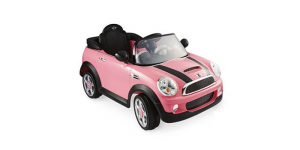 The kids’ electric cars that sold out in seconds in 2017 are on offer again this year. 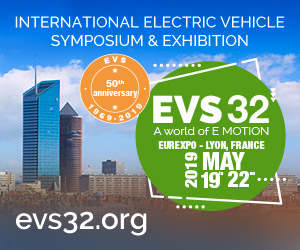 Sometimes a little madness goes a long way: The Canadian state of Québec is trying to get more EVs in the country to satisfy increasing demand. 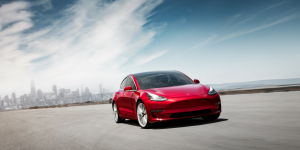 Racine has just opened a pre-owned EV division offering a free ride in Québec’s “fastest” EV – a pimped Tesla Model 3 – to inspire electric vehicle ownership. 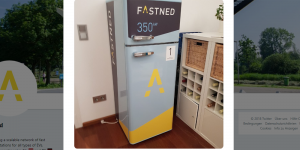 “Fast-chilling is the future” or so goes the claim by Fastned’s team in the German town of Cologne, which is also known for it’s Carnival. 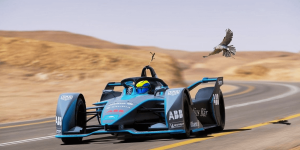 Automobile company Venturi has introduced an electric vehicle designed to withstand the most extreme conditions on Earth. 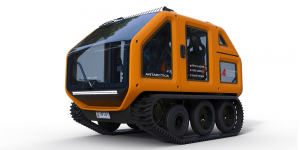 The Antarctica EV is specifically made for polar expeditions and said to still roll in temperatures as low as -50°C. 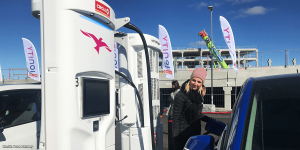 The German fuel BP subsidiary Aral asked the German Aerospace Center (DLR) to study how gas stations may look like in the future. 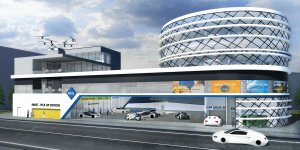 The vision entails services for self-driving cars, landing spots for air taxis and more charging stations than fuel pumps. 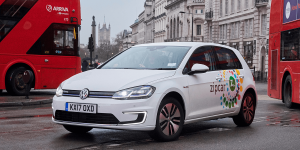 The Zipcar car club that runs 325 VW e-Golf in London complains about the slow expansion of fast-charging infrastructure in the British capital. That is nothing new, unfortunately, but Zipcar makes a new argument. DE: How many electric cars are being made in a week? 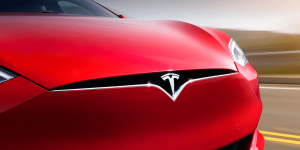 Established carmakers have repeatedly tried to ridicule Tesla because of their production problems. 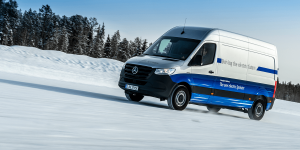 Yet, a quick round of calls by Handelsblatt shows, the Californians currently make many more EVs per week than all German automakers combined. 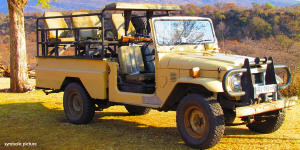 In Tanzania, the Mount Kilimanjaro Safari Club (MKSC) announced its plans to electrify its fleet of safari vehicles following a successful trial. 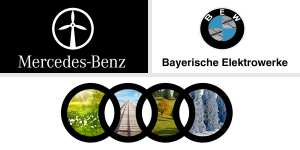 The idea is to reduce emissions across the whole operation with the electric cars charging on solar power. 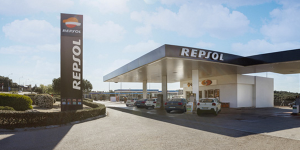 The Spanish government has decreed that major gas station operators have to provide EV charging stations within the next two years, and that failure to do so will result in fines of up to 30 million euros. 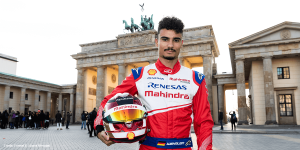 Yet, it was not the money but time frame the association of pit stop owners complained about when calling the measure “absolutely hasty”.